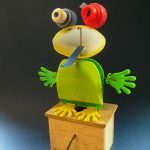 Keith Newstead has started making wonderful automata from the flotsam which arrives regularly at his local beach in Cornwall. The contents of containers lost at sea sometimes contain large amounts of the same, often colourful cargo, (lighters or legos). 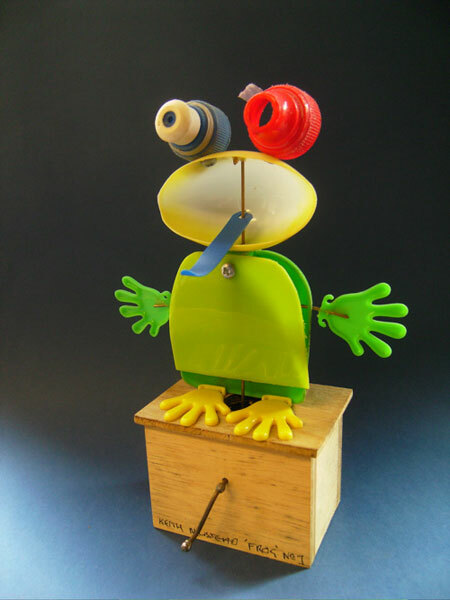 This piece is called ‘Sad Frog’ and is a one-off design.